The winter (dry season) is predominantly brown and grey. But – as I learn now – when the wet season (summer) starts the bush becomes very colorful. I took pictures of these nine plants just on one drive from my home to the lodge. 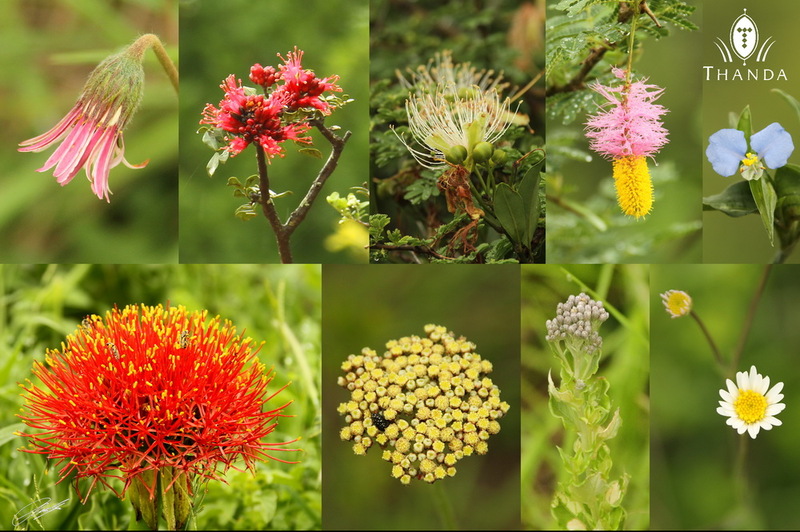 One of my favorite flowers is then one from the Sickle Bush (Dichrostachys cinerea, known also as Bell mimosa, Chinese lantern tree or Kalahari Christmas tree – second from the right/top). The bush itself on the other hand is a real threat to us field guides. The spines on the bush are so hard that they go straight through a tyre and one ends up with a lot of flat tyres when “off-roading” in areas with these bushes! So then I am wondering if you guides now change your attire to pastels to match the environment.